AGRIBALYSE v1.3 is a French agricultural database for background LCIs, food LCA and benchmarking in the food sector. It comprises the most common French agricultural products and a few imported ones, with production data from 2005 to 2009. 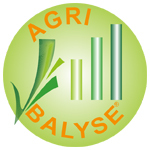 AGRIBALYSE uses a transparent methodology that was co-developed by an extensive partnership between public and private research institutes, coordinated by ADEME. The development program is ongoing, and more updates will follow. Why choose AGRIBALYSE agricultural database? High-quality data for average agricultural products in France, at farm gate. Easy access to transparent and detailed agricultural data on several hundreds of agricultural products and processes, in unit process format. 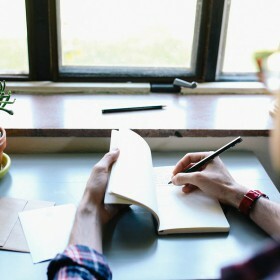 Implement ecodesign strategies for food products. Combine AGRIBALYSE’s agricultural data with primary company data or other databases to work on food LCAs and the ecodesign of food products, for instance by testing different ingredients and farming systems. The agricultural data in AGRIBALYSE can be used in combination with other data sources for B2B or B2C communication on environmental performance and food LCA. To download the database, please notice that you need to have an active licence for SimaPro 8.3 or later, as well as a valid service contract. Please fill in your contact details, which will be exclusively known by the developers of SimaPro and AGRIBALYSE, and kept confidential. By downloading the database, you agree with this and acknowledge that you have read and understand the terms and conditions. Important for users of SimaPro 8.5 or higher: Before importing, you first need to open the Agribalyse database in SimaPro for a small technical conversion. Otherwise you will receive an error during import. With its head office in Angers, ADEME is active in the implementation of public policy in the areas of the environment, energy and sustainable development.